Team SpaceIL is a nonprofit organization and the only Israeli group competing in the Google Lunar X Prize. This week is your last chance to enter a competition for $25,000 to develop your own space exploration game. Games for Change, an organization that aims to make a social mark through digital games, is hosting a contest asking people to share their ideas for a space game that "takes players to the final frontier," officials with the organization said. Interested participants must submit their game ideas by Friday (March 14). 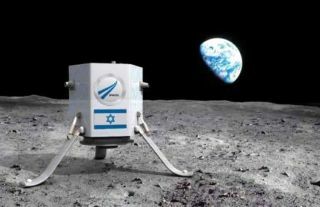 The game should be created to benefit SpaceIL, an Israeli group competing for the $30 million Google Lunar X Prize. The grand prize will be awarded to the first private team to complete a set of goals including landing a probe on the lunar surface. Teams must be ready to launch by Dec. 31, 2015. To win the grand prize, the winning spacecraft must move 1,650 feet (500 meters) on the moon and successfully beam back video, images and data to Earth.